Six players are hoping to join an exclusive group of FIFA World Cup winners from the Premier League when France face Croatia in Sunday's final. For the third tournament in a row, there will be at least one World Cup winner from England’s top flight. Liverpool defender Dejan Lovren is aiming to lift the trophy with Croatia. 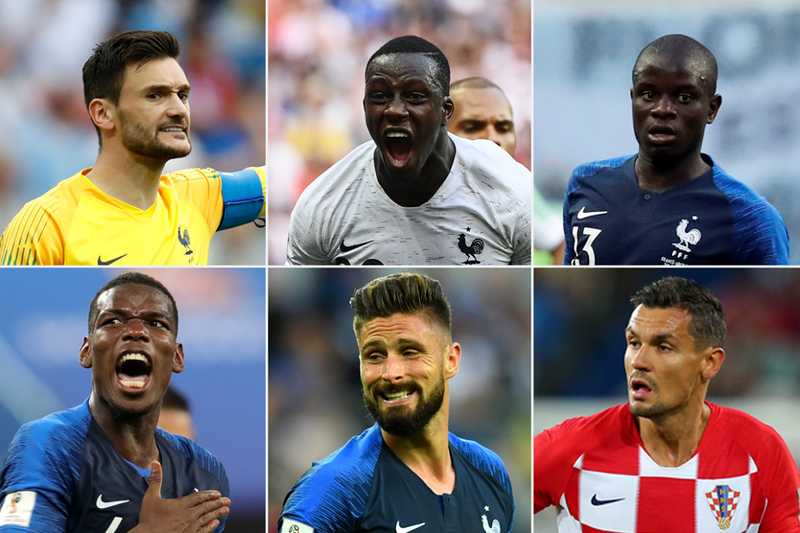 The France squad features Tottenham Hotspur's Hugo Lloris, N’Golo Kante and Olivier Giroud, of Chelsea, Manchester United's Paul Pogba and Benjamin Mendy, of Manchester City. Six Premier League players have featured in each of the last two finals. Lovren, Lloris, Kante, Pogba and Giroud have been regular starters for their countries in Russia, but Mendy would make only his second appearance of the tournament for this number to be repeated on Sunday. In total, eight players have lifted the World Cup while on the books of a Premier League club, but only one has scored in the final. Emmanuel Petit found the net in France’s 3-0 victory over Brazil in Paris in 1998 to cap off a wonderful season, having just won the Premier League title and FA Cup with Arsenal.